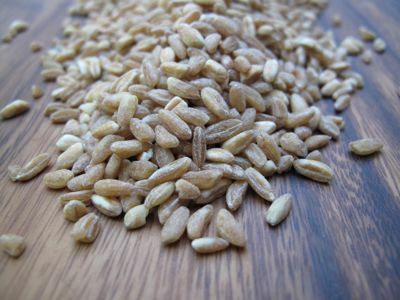 It’s been several years since my last post using the wonderful and ancient grain called farro, here. 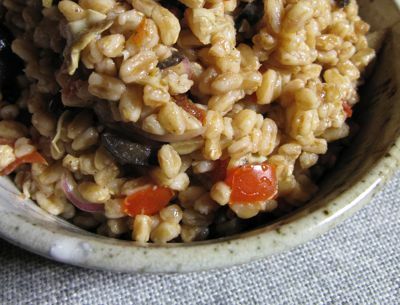 I had a couple of cups of uncooked farro in the pantry and decided to make another version of the salad, to be served at an evening meal as a foil to a salty, crisp fried duck confit. denise, thanks, I have linked to the old post now. MM serve that chicken on top of farro, then pinoy here in the middle east will call it kabsa. masarap especially eaten with spicy leaves . nakakatuwa kasi first timer like me will comment on the long grain of rice. SAbi parang maggot pero masarap tsaka kamayan kasi. MM, did you make the duck confit? if you cooked the duck confit (which is in all likelihood a “yes”) can you be so good to do a separate post? Sorry to disappoint, but we bought the confit and just fried it at home. :) And btw, pre-prepared confit can be quite good as it is well-preserved in the duck fat… Sister makes her own confit. this is a shout out for help and totally out of topic. so sorry MM. i need help!! have about 4-5 pounds of beautiful tomatoes and would like to make the tomato pesto that i read in betty q’s comments several posts back. she mentioned that her husband got a jar and she found a way to make it. it required slow oven drying of the tomatoes. i have been frantically scouring the archives for that recipe. anybody please help before my tomatoes go bad. thank you in advance. 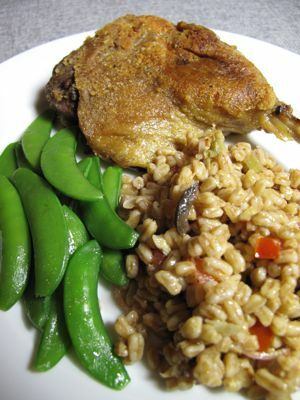 Would sister be so kind as to share her recipe for home made duck confit? Great food here. I though I am having finance and economics when I visited. But ohhh, Yes there is…this is market. I see that you’re also curious, adventurous and an explorer when it comes to food just like me. Have you tried “Quinoa” (pronounced —keen-wa). They say this grain is high in protein and fiber but low on carbs. This will be good for anybody wathching their diet. Btw, this is my first time to hear about farro. You can bet that I will be checking on it. That looks great. I love the duck confit too. Mr MM, where do you buy your farro? I am a chicken when it comes to eating duck and yet I like balot (maybe because I euphemise it as eating an egg). I had a pet black duck with the white stripe on the neck when I was a kid. It followed me everywhere I went. Then one day, it disappeared. Mother just said maybe some bad dog ate it. I never thought Dak-Dak would have been that delicious “chicken” dish we ate roundabout the day my pet disappeared. Up to now, I still can’t stomach the idea of eating duck. I have just about all the ingredients above, including the flat leaf parsley because the plant hasn’t wilted after the few nights of frost. I’ll pass the duck and go for turkey. This can be a very nice Sunday lunch. 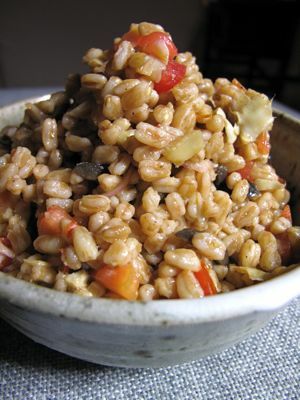 did you get your farro here in manila? would you know where i can buy farro here? also quinoa (apart from healthy options)? pia, unfortunately I did not. Purchased it on a trip abroad. It’s fairly abundant in Italy, and harder to find in places like the U.S.